Lynx is a new navigating autonomous indoor vehicle developed by California-based Adept Technology company. This smart robot can navigate its way around almost any building and move stuff around. Adept Technology developed a new robotic helper named Lynx aimed at businesses, manufacturing facilities, warehouses, hospitals and other facilities. The Lynx uses a digital map for determining its location and can recharge itself automatically when needed. One of the highlights of the Lynx compared to otherautonomously vehicles is ability to work without any external assistance such as magnets or navigational beacons which are used in other robots. Lynx can move through cramped passageways as well as areas with people walking about. Using an internal map programmed into its computer the Lynx navigate its way but it can also use onboard sensors to avoid random obstacles and react to voice commands. Maximum speed of about 4 mph. Pricing for the Lynx has not been published by Adept but as a industrial robot it will probobly be out of reach for your average household. 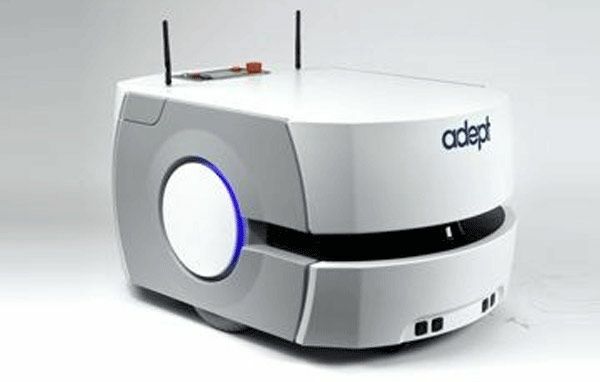 TFOT has covered several advanced robots including iRobot’s Negotiator, a slimmed down and affordable robot capable of climbing stairs and evaluating potential dangers, and VIPeR, a portable, lightweight robot designed to operate in an urban environment, introduced by the Israeli company Elbit. Other related TFOT stories include Yamaha’s Terrascout Autonomous Vehicle, a project that has set itself the goal of creating a high-speed autonomous vehicle capable of patrolling large areas, and the development of an algorithm that could be employed in the practice of utilizing robots in a variety of military missions.